Calls to set up a special inquiry committee followed revelations in November that hundreds of multinational companies had secured secret deals from Luxembourg to slash their tax bills. The scandal, quickly dubbed ‘Luxleaks’, embarrassed European Commission President Jean-Claude Juncker, who was Prime Minister of Luxembourg from 1995-2003, during which these tax arrangements took place. In the European Parliament, a request to open a special committee of inquiry into the Luxleaks scandal had been signed by 188 MEPs. 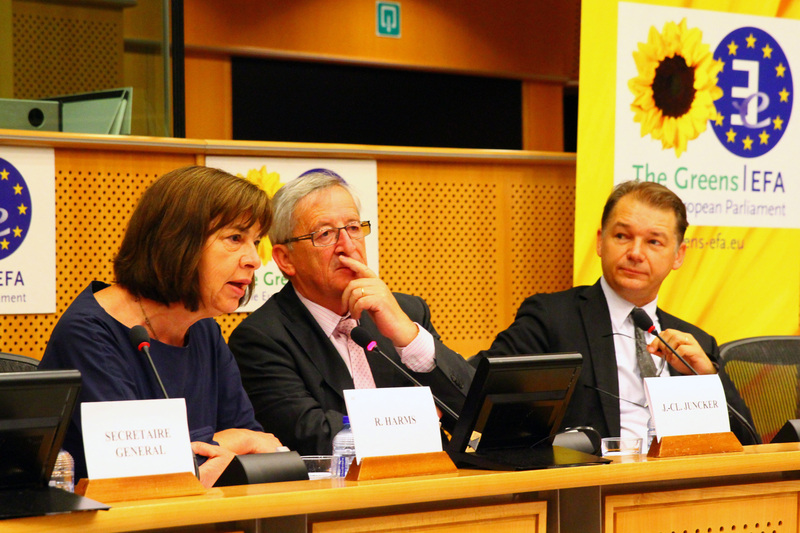 But the three main Parliament groups – which all supported Jean-Claude Juncker’s appointment as Commission President – instead decided yesterday to launch a special committee on tax evasion, with no investigative powers. Two days previously, the legal service of the European Parliament had recommended that the political group presidents refuse the creation of an inquiry committee on the grounds that the proposal was ill-conceived. The experts judged that the proposal failed to specify the object of investigation and lacked clarity in identifying the offences to be examined. The Greens saw this as nothing more than legal quibbling, and believed another expert could have said just the opposite. “The legal service could have used this argument to refuse to open any committee of inquiry,” said the Belgian Green MEP Philippe Lamberts. The legal argument allowed Martin Schulz, the President of the European Parliament, to avoid the issue in the Parliament’s plenary session, which will vote next week on the creation of the special committee on tax avoidance. The request to create a committee of inquiry was launched by the Greens and supported by the radical left, and a certain number of MEPs from across the political spectrum. A total of 194 MEPs had originally signed the petition to open the enquiry, but some later withdrew their signatures. On 5 February, the final count was 188. A source within the European Parliament said “members of the EPP group [European People’s Party] came under great pressure from their party to withdraw their signatures, and most of them did so”. The centre-right EPP group is the largest in Parliament and nominated Juncker as its candidate for the European Commission Presidency during the European elections campaign last year. After winning the elections, the EPP formed a ‘grand coalition’ with the Socialists & Democrats, in a job carve up that saw Juncker and Schulz respectively take the Commission and Parliament Presidencies. The proposed special committee would investigate the tax practices of countries like Luxembourg, the Netherlands and Ireland, both today and in the past. But a special committee has less power than a committee of inquiry, although it can investigate a broader range of subjects. A committee of inquiry would have access to all national documents, while a special committee can only examine European documents. The President of the European Parliament said he was “very optimistic that a special committee can bring real improvements”. This decision left the Greens and the radical left disappointed and frustrated. “I am very disappointed with this result. I am furious that the rights of the minorities in the European Parliament should be scorned to this extent. It is an attack on European democracy!” said the German Green MEP Sven Giegold. More than 300 companies, including PepsiCo Inc, AIG Inc and Deutsche Bank AG, secured secret deals from Luxembourg to slash their tax bills by billions of euros, the International Consortium of Investigative Journalists (ICIJ) reported on 5 November, quoting leaked documents. The companies appear to have channelled hundreds of billions of dollars through Luxembourg and saved billions of dollars in taxes, the group of investigative journalists said, based on a review of nearly 28,000 pages of confidential documents. Commission President Jean-Claude Juncker, who was prime minister of Luxembourg from 1995-2013, has rejected all accusations of having orchestrated large-scale tax evasion and has even announced a new EU initiative to tackle tax evasion. Juncker's defence was to deny any wrong-doing and to promise his full cooperation with the Competition Commissioner Margrethe Vestager, who is currently investigating four cases of tax evasion (two in Luxembourg, one in the Netherlands and one in Ireland). What a wonderful example of democracy the three main political parties in the so called Parliament are setting. The individual nations now need to identify the tax they are loosing to places like Luxembourg and reduce their payments to the Commission an equivalent amount.